CAMBRIDGE, Mass. 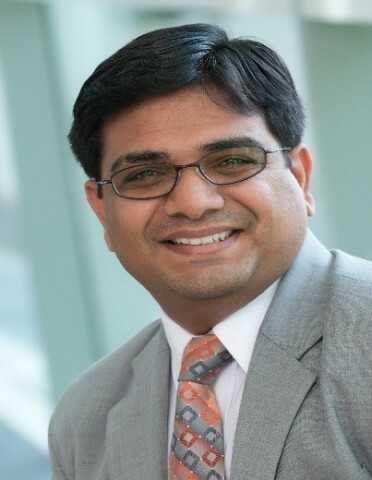 & SHANGHAI & ROTTERDAM, Netherlands--(BUSINESS WIRE)--Harbour BioMed announced the appointment of Atul Deshpande, Ph.D. MBA, as Chief Strategy Officer and Head of U.S. Operations. Dr. Deshpande joins Harbour BioMed from Sanofi, where he served as Global Operations Lead of Sanofi Genzyme’s Dupixent® (dupilumab) franchise. During his tenure at Sanofi Genzyme, Dr. Deshpande delivered on roles with increasing responsibility from strategy to implementation. He was instrumental in establishing and executing global Dupixent launches in Atopic Dermatitis and Asthma, a blockbuster brand in the making. He also brings significant international experience, having developed the R&D strategy for the company’s Asia Pacific businesses, including Japan and China. Prior to Sanofi Genzyme, Dr. Deshpande served at several life science strategic consulting firms. Dr. Deshpande holds a Ph.D. in Neurobiology and Behavior from University of California, Irvine and an MBA from Cranfield University in the UK. Harbour BioMed also announced the promotions of Dr. Xiaoxiang Chen, MD to Chief Development Officer, and Dr. Mai-Jing Liao, Ph.D., MBA to Chief Business Officer, effective immediately. Harbour BioMed is a global biopharmaceutical company discovering and developing innovative therapeutics for oncology and immunological diseases. The company's discovery and development programs are built around its two patented transgenic mouse platforms for therapeutic antibody discovery. The company is building a proprietary pipeline through its innovative internal discovery programs, and through in-licensing clinical stage assets that strategically fit its internal portfolio. Harbour BioMed also licenses the platforms to companies and academic institutions through its Harbour Antibodies subsidiary. For more information, visit www.harbourbiomed.com.